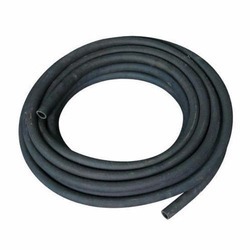 Pioneers in the industry, we offer rubber air hose, compressor air hose and industrial pu vaccum hose from India. Leveraging on our quality oriented professionals, we are providing Rubber Air Hose to our clients. 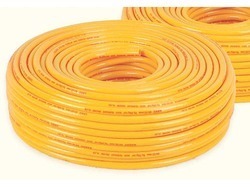 Rubber of best quality has been used for development of this hose. It is known for its excellent pressure bearing capacity. This hose is offered in different size and specifications and gives tremendous performance for years. It is offered in different range to our clients. We are sure that this rubber hose would meet your requirements. Banking on our quality oriented professionals, we are offering Compressor Air Hose to our clients. This hose has excellent compressive strength and is reckoned for its premium quality and high durability. This hose is easily installed and is free from all types of defects. Customization is also available on this air hose. It is used in water and other liquid environments for conveying air and other gases. 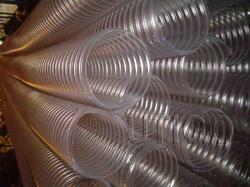 We are an eminent organization offering Industrial PU Vaccum Hose to our clients. Reliable for years, this hose is used in dust collection and exhaust transmission applications. It is used in applications such as crushing, hydrolysis and other applications. This hose has got rugged construction and smooth texture. We present this hose in both customized and non customised options to our clients. It is known to give high performance for years. Looking for Air Hose ?